My parents, brother and sister in law came to Hong Kong to visit me so they say, but in actual fact they are in Hong Kong for a holiday to China. Hong Kong was just an excuse or should I say a ‘hub’ so that they can visit China! Nevertheless, it was still good to see them all (! ), even though I saw them in April!!! I went to Hang Zhou restaurant a while back with Hubby and my cousin in law. My brother, F, read the post and was keen to go. 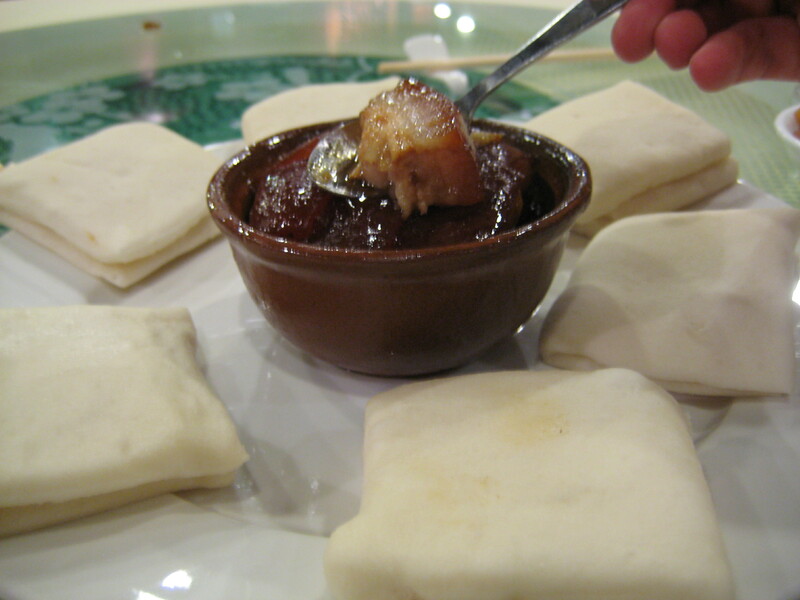 He wanted to eat their braised pork belly, so on their second night in Hong kong, I thought I would take them there. They also have a list of restaurants that they wish to eat at, the love for food does run in the family! I know one of the chefs here, K, introduced by the same person who introduced me to this restaurant! She helped us order and it was definitely better than the first visit (!) (read first post here). Then came the tofu, these were marinated tofu which was unbelievably soft and full of flavour. 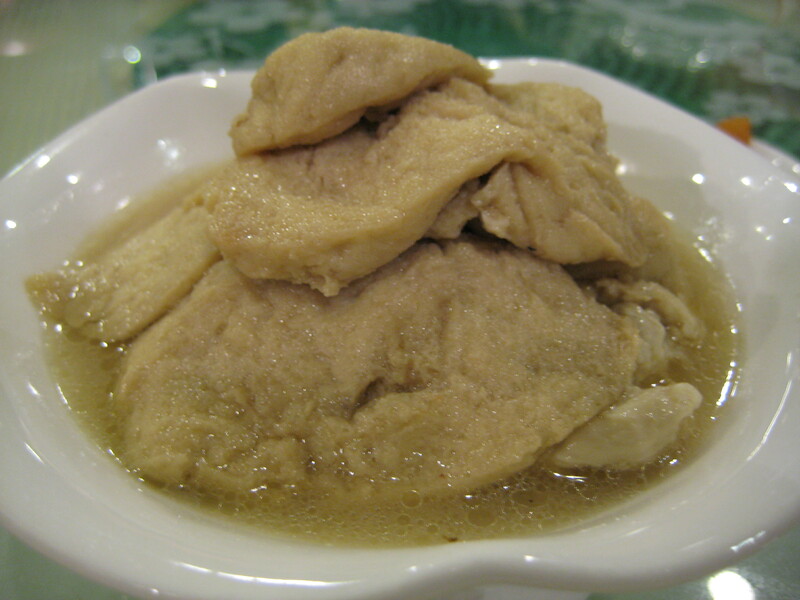 Next, their famous drunken chicken – this was served warm and incredibly tasty! You could definitely taste the hint of alcohol, the chicken was tender and succulent! 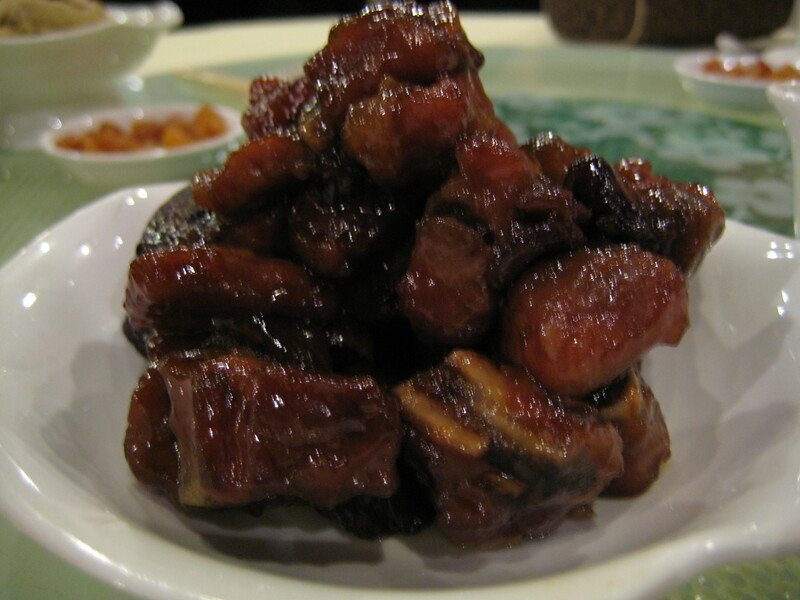 Hubby and I had previously ordered this, but got it again, braised pork belly with man tao. This was better the second time round – the pork belly had the ‘right’ amount of fat and meat. It was absolutely fantastic, especially with the man tao. Here is a close up of it, one was simply not enough! 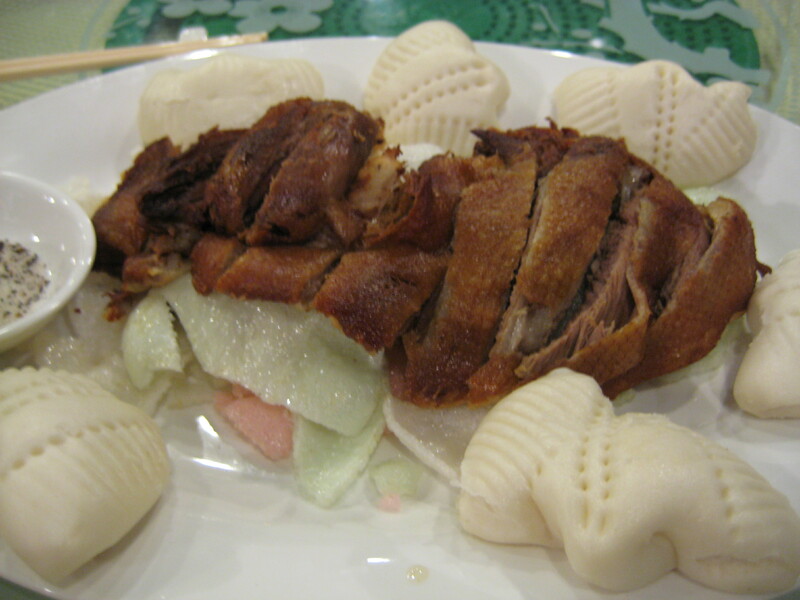 We also ordered the deep fried duck (deboned) and again this was better the second time round. The duck was tender, and meaty and the skin was crispy. It was delicious and the man tao was a great compliment. 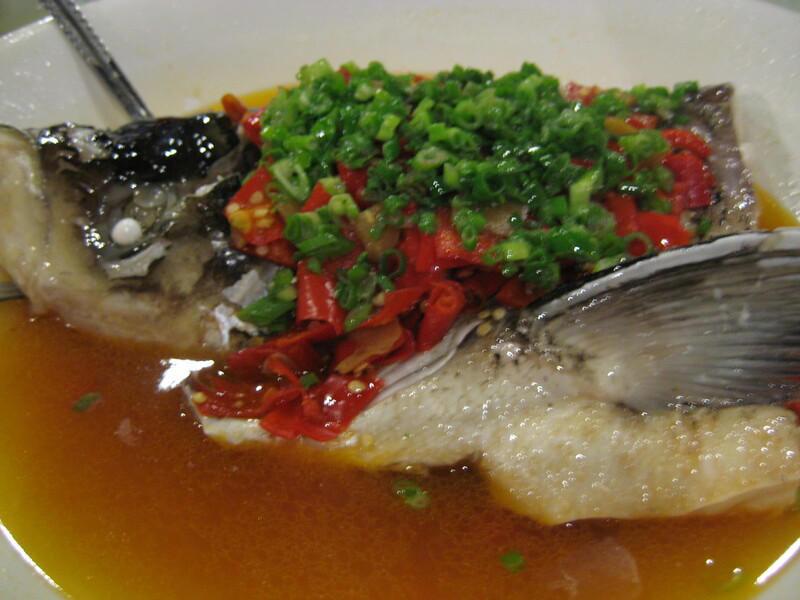 The next dish is one of their specialty and was recommended by K. It’s fish head soup – yes fish head soup – and it was the BIGGEST FISH HEAD I have ever seen. It wasn’t a FULL fish head – it was half a fish head and as you can see from the photo below, it was HUGE! The fish was fresh and cooked to perfection. It was full of flavour – LOTS of chili! It was spicy and hot but incredibly delicious! 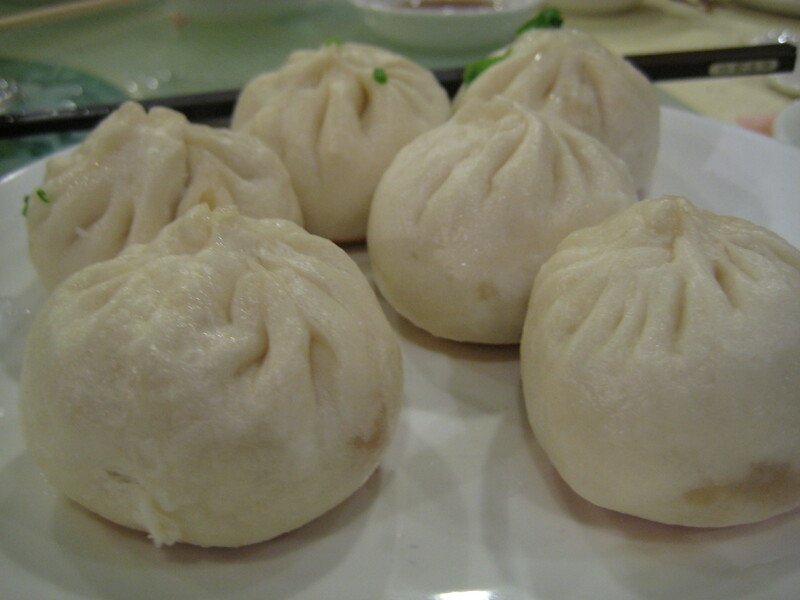 We also ordered a plate of pan fried pork dumplings – bottom slightly pan fried. These were amazing! 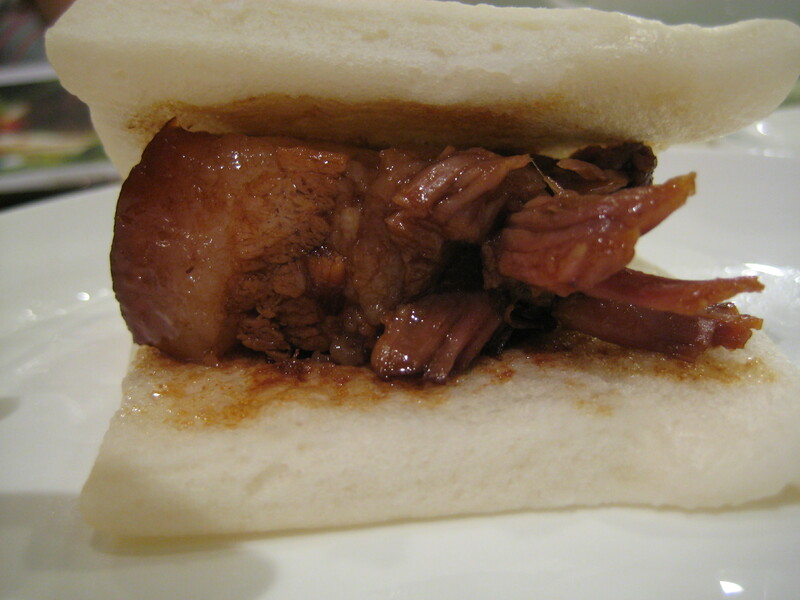 The bun was tender, and the pork juicy, that if bitten at the wrong angle you could seriously squirt juice to your neighbour! 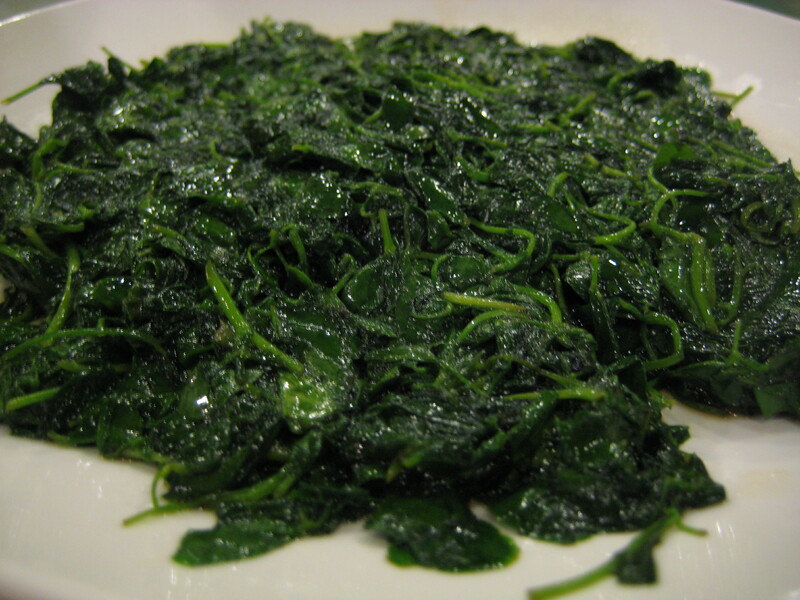 A meal is never complete without vegetables, so we ordered a plate of spinach cooked in shao xing wine. I didn’t enjoy this dish as much as the others. There was a really strong alcohol flavour – the shao xing wine which I didn’t like. For me, it would have definitely been better without the wine. My sister in law seemed to have enjoyed it though! It was simply a fantastic meal! Thanks K for helping us order. 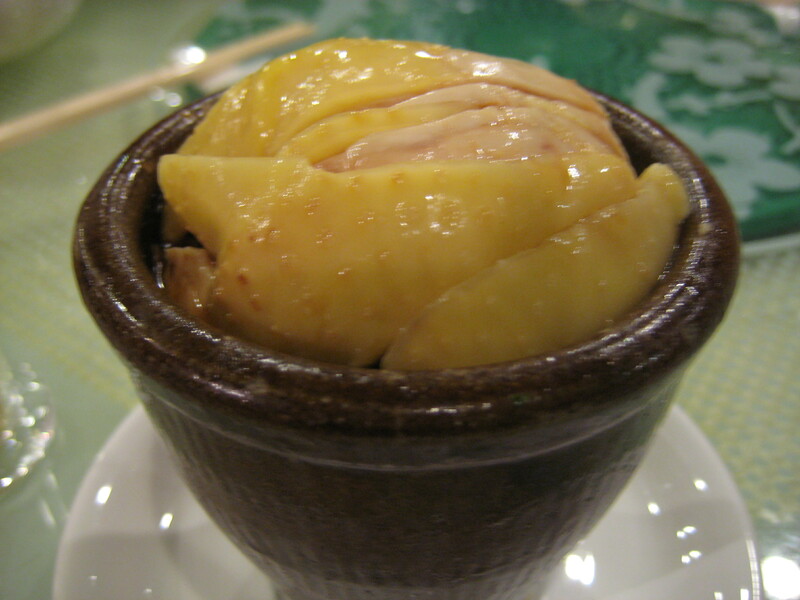 I would definitely recommend getting the fish head soup, as well as the braised pork belly! We were all stuffed and couldn’t even fit dessert!! We sat there discussing our next trip as we couldn’t move!